DiscoveryWorks Legal, a fast-growing database management firm in New York City, needed more space in a hurry and on a tight budget. For their new home, the company selected a 5,000-square-foot loft space in an historic cast-iron building just south of Union Square. 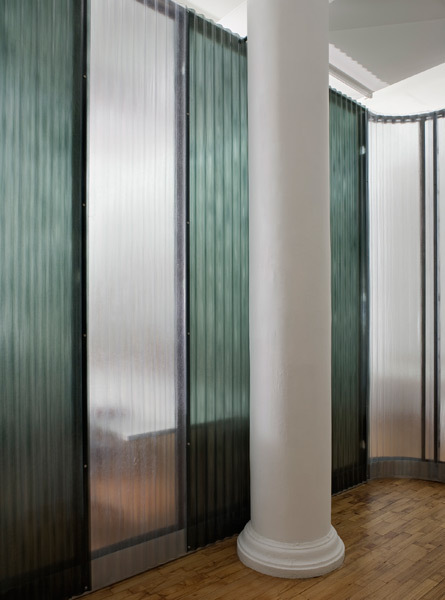 The nature of the client’s work required a variety of private, semi-private and public environments in the same small space. 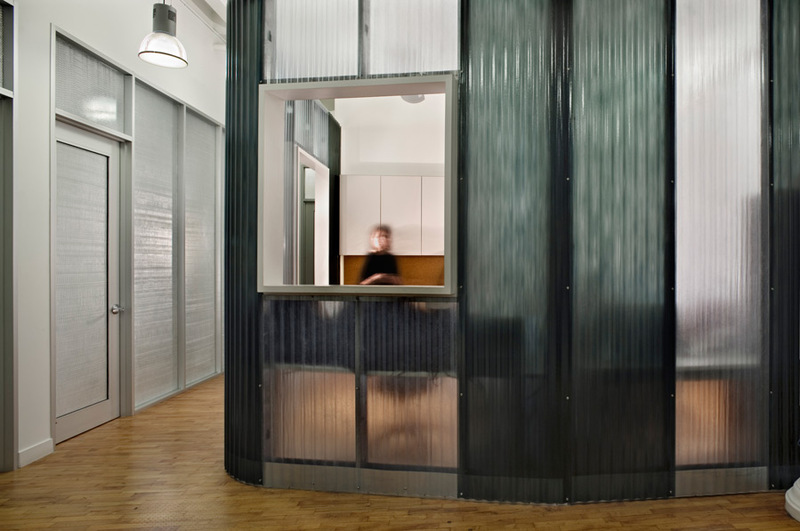 A ‘binary ribbon wall’ constructed of alternating clear and charcoal colored corrugated fiberglass, separates the different parts of the office and references the digital nature of the client’s business. In addition, the fiberglass is patterned to establish an appropriate spatial divide between the public and semi-public areas. 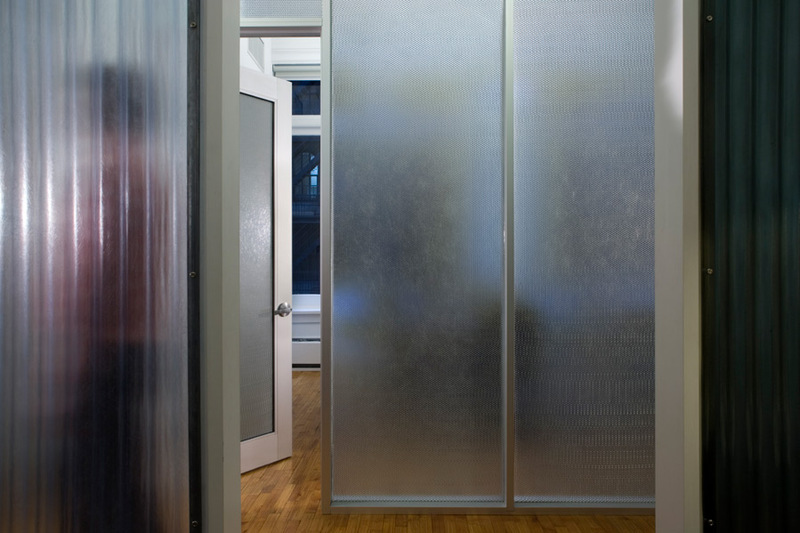 An aluminum ‘storefront’ system of cellular fiberglass panels wraps the private offices. The design strategy highlights the aesthetic of the existing structure and its primary architectural features. Fiberglass and a palette of industrial materials that have varying degrees of transparency let natural light into all areas of the office. By exposing the grid of beams and girders in the ceiling, the floor-to-floor heights are stretched to their full potential, showcasing the cast-iron columns and the lightly re-finished existing ‘ship plank’ wood floors.